Have you tried the official FCSfit Smoothie? 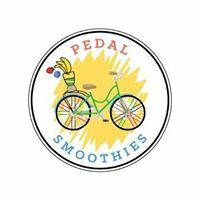 Our 2016 FCSfit launch partner, Pedal Smoothies, has shared this special blend. If you attended the 2016 Annual Conference in Bellevue, WA, you may have peddled for your own! Blend handful of strawberries, blueberries, raspberries, boysenberries, blackberries, almond milk (and/or your favorite Greek yogurt), ice, and vanilla extract. For those who measure, that's approximately 2 cups of berries, 1 cup of ice, 2 cups of almond milk (or 1 cup milk and 1 cup yogurt) and one teaspoon of vanilla.